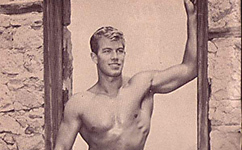 Vintage bodybuilding and fitness articles from physique magazines. Physical benefits of training with weights by Barton Horvath, one of the best physical consultant of his time. A clear outline of the principles of power training, just follow the simple rules to add up to 50% to your power. First-rate training instruction to the bodybuilder for developing both large and shapely muscles, specially for calves. An article from vintage physique magazine with a criticism of logical positivism – how from motivation come to action. How to build successful life – psychological advises for bodybuilders! Interesting questions and meaningful answers about bodybuilding from Muscle Man magazine. 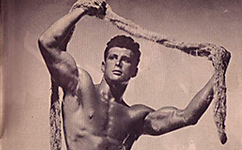 8 exercises for life-long health and strength from the famous instructor Charles Atlas. Instruction of the famous bodybuilder Chares Atlas to perform a perfect hand-stand within a month!